I’d just like to thank Deanna over at A Novel Glimpse for nominating me for the Book Fangirling Blog Award! This is the book I will always choose when it comes to a question like this. I loved everything about this story and Murdoch did a brilliant job of creating a storyline and characters that made you feel every emotion. It’s such a heartbreaking story but you always have hope for the characters that things will get better for them. For more information about it you can check out my review here. It’s also just been announced that the book has been optioned for film which is another reason you should pick it up! 2. What’s your favorite non-book book themed item? Unfortunately I don’t own any book themed items but I have seen some mugs/pillows/t-shirts that I want that are book related! 3. Who is the one author you would buy a book from without even reading his/her book’s description? Cassandra Clare. I’ve loved every book I’ve read of hers so far so without a doubt I’d happily just buy the book from her without knowing anything about it. 4. Which character is your favorite bad guy/girl? As much as she scared me as kid I think I’m going to have to say Bellatrix Lestrange from the Harry Potter Series. She’s so cunning but extremely smart and I feel she could teach me a lot if she was a nice person. 5. What’s the best book you’ve read so far in 2015? Ooooh there’s been a few! If You Find Me, Fangirl, The 5th Wave series and I’ll Give You The Sun. And anybody else that would like to take part! I was nominated a few weeks ago by the lovely Eleanor (Book Marked Reading) for the Blogger Recognition Award which is a pleasure to be awarded. Thank you so much! Throughout my life I’ve always been an avid reader. My parents used to call me their little bookworm as I would always have a book in my hand. The older I got the more books I read and so I started to think about giving something back to the author. It wasn’t until May this year (2015) that I decided I would give blogging a try to see how I got on. I originally started on tumblr but had too many accounts that I kept forgetting all my login details so eventually I decided to create a bookstagram account and see if I could get any inspiration etc on how to start a blog from there. I then discovered wordpress and so decided to create a blog on here and I transferred the couple of reviews I had posted onto this site. 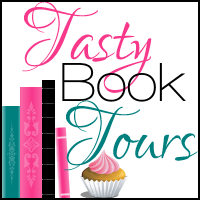 From there I started reviewing every couple of books I read and then I signed up to sites like Reading Alley and Netgalley to get ARCs that I could review to help authors out too. In the last 5 months I’ve started to enjoy blogging a lot however due to work commitments I’ve been unable to post a lot which has made me disappointed in myself but as soon as things calm down in both my jobs then I’ll be back posting regularly again. There’s not much I can really say because I guess I’m still quite new to it all and getting used to it myself but post as much as you can. If like me you have other commitments even just one or two posts a week can help keep your following. Also, share your posts on any social media you have too! I’ve found that when I tweet my reviews to the author of the book I’ve reviewed, they often share it which helps increase your views etc. There’s also many tags and stuff that you can take part in to help you join in with the community and audience you’re trying to reach. I’m going to tag my first 15 followers here as a thank you to them for wanting to read my posts and sticking with my blog over the last few months. Last week I was tagged by Deanna over at A Novel Glimpse so thank you so much for this! I really appreciate it. So here are my facts! I was born in Glasgow on September 6th 1995 and then two and a half years later my sister was born. I have two cats. Jack is ginger and I bought him 3 years ago after I was given money and desperately wanted a pet. He is the cuddliest wee thing ever and I’ve never met a cat as affectionate as him! Pooka was a little rescue kitten and we’ve had her for two years and she’s a wee tortie coloured cat and she’s so tiny and cuddly and meows all the time! I grew up listening to a lot of music so as well as reading, music is a huge passion of mine. I play guitar, bass guitar and sing. I went to college and got my HNC in Music Performance which was an amazing experience. I also spend a lot of my time at music gigs too. I work as a server assistant in a restaurant and also as a steward at events. I love both my jobs so much as I work with so many lovely people and no shift is ever the same! I am a huge lover of many TV shows. Some of these include, Teen Wolf, Pretty Little Liars, The Vampire Diaries, American Horror Story, Awkward, Faking It and many, many more! When I was 10 years old we moved house so we were closer to my grandparents so that now means I’ve spent half my life in East Kilbride and half in Glasgow which is really scary to me. In 2017 I’m determined to travel around America. It’s going to be extremely expensive but it’s always been one of my dreams. This was such a fun thing to be part of! Thank you again to Deanna. Here are my nominations. I was tagged by the lovely Amy over at Curiouser and Curiouser so I’d just like to thank her! I really appreciate it. Please do go and check out her blog and give her a follow! Okay so my favourite book character is a bit of a tough one as I have a few but I think I’ll go with Cath from Fangirl by Rainbow Rowell as I found I could relate to her a lot! My favourite film character would probably have to be Newt from The Maze Runner. I love him in the book but I love the way Thomas Brodie-Sangster brings the character to life! Finally, my favourite tv show character is Stiles from Teen Wolf. He’s funny, dorky and for me just makes the show better. 2. If you could choose any famous person (alive or dead), who would you choose and why? Ooooooh this is a good question! I think I would like to meet Emma Watson. I absolutely adore her as a person and I love that she plays one of my favourite characters! Absolutely YES! Harry Potter was such a huge part of my childhood. My parents would read the books to me at night and I’ve read them multiple times myself since. We also went to see every movie in the cinema together and it became a big thing in my family. I have absolutely nothing against e-readers. I do use them for the books I get to review but I love having a physical copy of a book! It was The Scorch Trials! I loved the film but I was slightly disappointed it was nothing like the book. I feel like they could’ve done so much if they followed the book. What is your favourite book to movie adaption? Is there a book you think should never have been made into a movie? What is your worst bookish habit? Do you prefer buying books or borrowing from your local library? If you could travel anywhere in the world with one single book where would you go and which one would it be? What makes you read a book? Do you go by the cover, summary etc? I’m looking forward to reading all your answers! Thank you again to Amy for nominating me. So just under a week ago the lovely Amy at Warm Days Will Never Cease nominated me for this award and now that I’m off work with a muscle spasm in my neck I can finally get around to doing it! This looks like it’s going to be fun so thank you Amy! There’s two I could choose from but I think I’m going to have to say Fangirl by Rainbow Rowell as I loved everything about this book and the storyline was just so sweet! You can read my review of it here! The whole The Mortal Instruments/The Infernal Devices series for me. I loved every single thing about these books, the action, romance, characters etc. The Good Girl by Mary Kubica. This book sounded so promising and then when I read it I really didn’t enjoy it at all. It was predictable and the ending was just disappointing. I think I have to go with First by Chanda Stafford. I loved this book! The plot was completely different to anything I’ve ever read and I was lucky enough to receive a copy of the second book from Chanda herself which I’m looking forward to reading. You can read my review of First here! The One You Love by Paul Pilkington. I received a copy of this book from Goodreads about a year ago and I’m glad I didn’t go out of my way to buy this book because it was just awful. 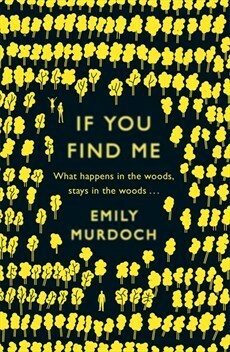 If You Find Me – Emily Murdoch. For a debut novel this book was incredible! I loved the plot and the characters and it makes me sad that I don’t see a lot of people talk about this book. You can check out my review of it here. Wintergirls – Laurie Halse Anderson. The Changeling – Robin Jenkins. This book was heartbreaking and I absolutely detested Mr Forbes. My Jane Austen Collection. I haven’t actually read this yet but it’s the heaviest book I own. I don’t know if this book will count but I’m going to say Him & Me – Jack & Michael Whitehall. Jack Whitehall is one of my favourite comedians so when he released his autobiography I just had to buy it. No book has made me laugh as much as this did. I’m going to mix this up a bit as I can’t seem to come up with my own question for my favourite fruit so I’m going to say Peaches. Peaches are a fruit I’ve never actually ate but I’ve tried so many peach flavoured things so my question is going to be: A book series that you’ve read part of but haven’t completed? I’ve read the first two books in the Noughts & Crosses series but I’ve yet to buy the last two books to complete it. I enjoyed the first two books so hopefully I’ll get the last two sometime soon to re-read the full series! The Fault In Our Stars – John Green. This is a book loved by pretty much everyone and it has the sweet teen romance and the heartbreaking scenes too. I really enjoyed doing this and I hope you all do too! I look forward to reading your post! Thank you again to Amy for nominating me! So the other day the lovely litmermaid nominated me for the Sunshine Blogger Award so I’d just like to take this moment to thank her! I really appreciate it. Please do check out her blog! I come from a very close family so I’d spend some time with them and then spend the rest of the time in Galloway Forest reading and listening to music as it’s one of my favourite places and makes me feel peaceful and relaxed. 2. If you could have any super power, what would it be and why? Ooooh this is a tricky one. I would love to fly just so I can go anywhere in the world but I’d also like to be able to read people’s minds so I would know exactly what they think of me. I’m allergic to grass. I can’t let my skin touch it for too long or else I come out in a rash and it itches like crazy! 4. Who’s your favourite author? I have a few! I adore all of the Cassandra Clare books I’ve read so far as well as John Green, David Levithan, Rainbow Rowell and Jennifer E. Smith. 5. Blue or Green eyes? I actually can’t choose. I’m in love with both these colours and I’m pretty jealous that my eyes are neither of them. 6. Are you a member of a book club? No I’m not but I would love to be part of one! 7. What time do you usually get up in the morning? Most recently I’ve been getting up around ten which isn’t too bad for me because I don’t normally get to sleep until around 6am and that’s if I do get sleep. 8. Any goal you have for yourself? I am determined to travel around the world starting off doing a trek in America and then going around Europe then heading off to Australia, New Zealand, Japan and I also want to go and volunteer in Africa somewhere too. After I’ve done all that I would like to settle down with my own family. My friends are some of the funniest people I’ve met especially the ones I work with. If I didn’t have them to get me through my shifts then I would absolutely hate my job. My sister is also hilarious. I’m never down when she’s around. 10. How do you take your coffee/tea? If I’m having coffee then it has to have a lot of milk in it so it’s not too strong and it’s the same with tea. With both I’ll also have two sugars. I also drink peppermint tea and with that I’ll add some honey to make it a bit sweeter! 11. What was the last thing you geeked-out about? Okay so I absolutely LOVE Mark Haddon’s novel, “The Curious Incident Of The Dog In The Night-Time” and was thrilled when I found out it was coming to theatres. Unfortunately my parents didn’t allow me to get tickets however, when my younger sister got her first wage she bought me tickets to see it in my hometown. I was so happy! So last Wednesday I went to see it and I’m still not over how good it was. It was everything I wanted it to be and more. The cast were fantastic and did an incredible job of bringing all the characters to life! You’re trapped on a deserted island and only have one book, one film and one cd. What would each one be? What’s the worst book you’ve read this year and why? Do you have a favourite musician/band? Do you have a book you would love to see turned into a movie or tv series? Other than reading what else do you like doing? I’d just like to thank the lovely Amy @warmdayswillnevercease for nominating me for this award. It was a very pleasant surprise! I turn 21 next year and so my plan is that for summer 2017 I want to trek around America. I found a company called Trek America that do different treks and the one I have my heart set on is The Great 48 which involves travelling around 48 of the States in 80 days with 12 complete strangers. Fingers crossed I can actually do it! I would also love to travel around Europe! Especially Italy, Poland, Germany, Croatia and Denmark! I guess the biggest dream is that I want to know what I want to do with my life. I’m 19 and I don’t have a clue what I want to do. Do I want to go to university and study something? Do I want to work my way up to manager in one of my jobs? I don’t know. Whilst travelling I want to get back into writing again and hopefully write a book! I hope you’re able to take part and I’m excited to read about your dreams! Thank you again to Amy! You should definitely check her blog out!